Keramiek Winkel Princessehof - Recreation in Leeuwarden. The assortment of tiles in this shop extends from traditional and gadget ceramics to contemporary designs, from the established up and coming modellers, namely Hella Jongerius, Marcel Wanders and Job Smeets. Besides this they have a vast book collection. After ones visit to the Prinsesshof Ceramic museum , one can finish this visit by going into the museum shop which is also accessible for non museum visitors . Their specialty is of course ceramics, and one can also find modern designs here. 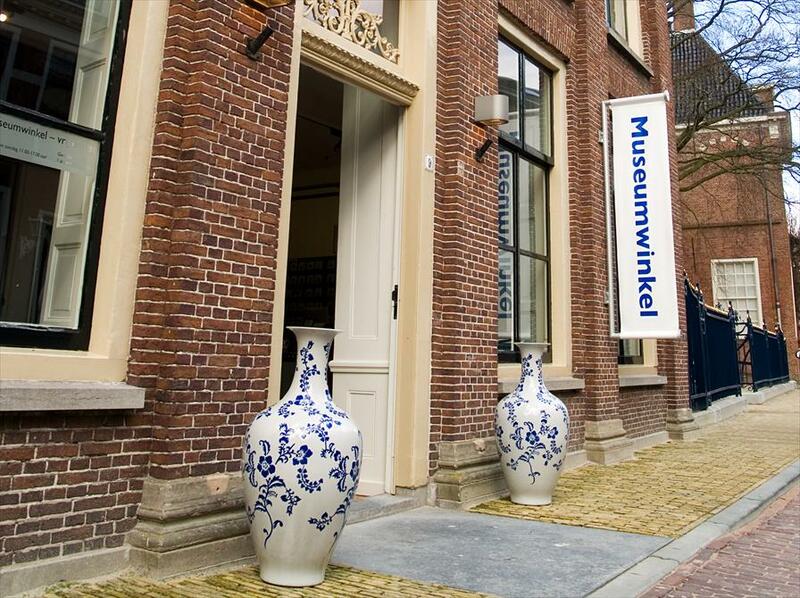 Wim Crouwel designed this shop and like the museum it has a modern, contemporary flair. Kon. Tichelaar Makkum, Pol's Potten, Wedgwood, Reichenbach, Autentics, Kitchen Trend, Beide dames, Hollandsche Waaren, Harlinger Aardewerk, Goedewagen, Porceleyne Fles, Cor Unum, Piet Stockmans, PPD, Industrial Miliaan.